Home / create / Gentle Unicorn and Before at Sala Hiroshima, Feb 2019. Gentle Unicorn and Before at Sala Hiroshima, Feb 2019. The 4th season of Sala Hiroshima’s innovative dance and performance agenda continues with two very special performances in February. Both pieces reflect Hiroshima’s cultural orientation towards supporting exciting contemporary creative proposals. Sat 2nd Feb – 20:30. Sat 3rd Feb – 19:00. Gentle Unicorn is a solo of surprising beauty and intelligence. Bersani approaches the figure and the imaginary realm of the unicorn from its own physicality. The artist presents a simple movement score; the unicorn moves in space while displaying small gestures that are amplified thanks to the subtlety of its interpretive quality. His transit is absolutely captivating; the choreographer knows how to place the right accents and directs our gaze with genius. Playing with the tension that his body creates in different perspectives, on a minimalist stage space, Bersani embodies this fantastic creature that becomes terribly human. 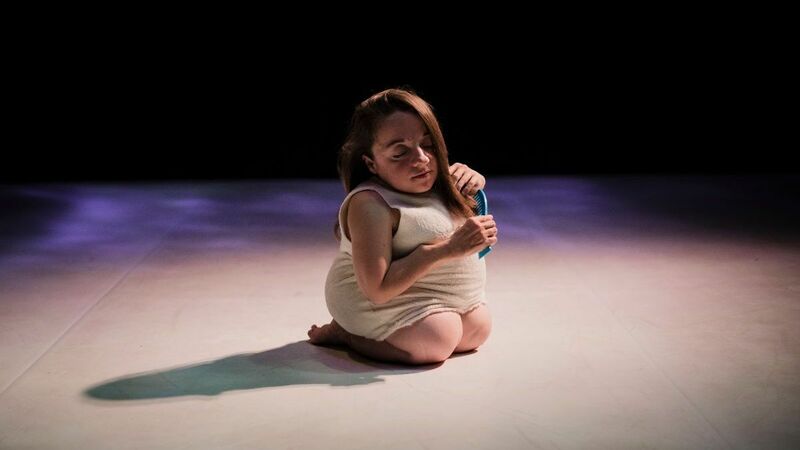 Chiara Besana has worked as an interpreter for renowned contemporary companies such as La Tristura, Alessandro Sciarroni, Babilonia Teatri, Jérôme Bel and Marco in August and has just received the UBU award for best performer under 35 in Milan. Before is a magnificent rarity of Hiroshima programming and a little gem by the Portuguese company Teatro Praga. This very small but exquisite piece of theatre was recently presented at the Théâtre de la Ville in Paris. Written by Pedro Penim, it tackles the feeling of saudade, a longing for the past, with irony and humour. It is about the desire to return to a past time which is perceived as glorious and desirable in comparison with a painful present. This ailment shared by many civilizations throughout history always diagnoses the end of an era. 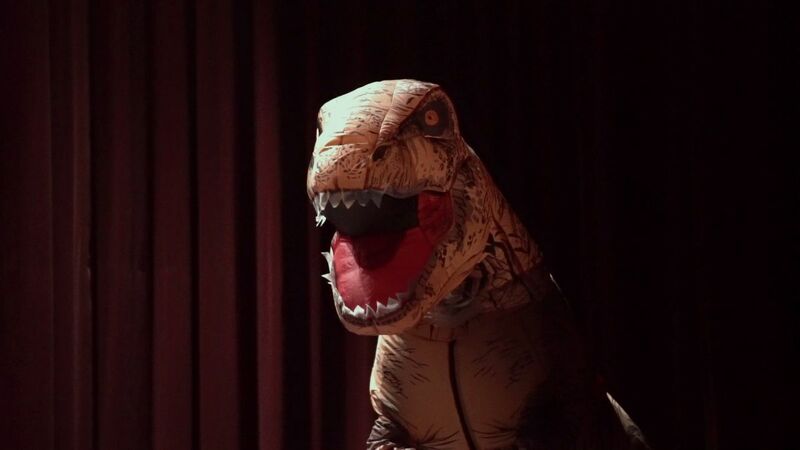 The staging presents a simple and surreal situation, in which a dinosaur shares its reflections and anguish with a kind of therapist who listens condescendingly. Teatro Praga is a collective of artists born in 1995 in Lisbon. It has become a benchmark of contemporary Portuguese creation worldwide. Hiroshima es un proyecto independiente dedicado a la difusión de las nuevas tendencias en artes escénicas, música en vivo y pensamiento contemporáneo, trabajando con distintas disciplinas: los nuevos lenguajes, las tecnologías aplicadas a la escena, las dramaturgias del movimiento y el nuevo circo, así como con experiencias híbridas resultado del cruce entre estas y otras disciplinas.